The E-Business suite of Oracle is Enterprise Business planning which is full form of ERP. Well ERP in a short while means that you have an enterprise, organization, or even a small startup but you need to have some manpower so as to run the enterprise in order to work effectively as well as efficiently so as to manage and plan the resources. In other terms, for meeting up the objective of your organization you need to plan your resources well. In today’s world, there are an ample number of benefits for each organization with the Oracle certification for learning Oracle E-Business suite. It is said that the combination of software knowledge with business knowledge creates wonders. To prove this thinking Koenig Solution has provided Oracle certification according to the Oracle E-Business Suite which was released in the late 1980’s. Oracle’s E-Business Suite (also known as Applications/Apps or EB-Suite/EBS) consists of a collection of enterprise resource planning (ERP), customer relationship management (CRM), and supply-chain management (SCM) computer applications either developed or acquired by Oracle. The software utilizes Oracle’s core Oracle relational database management system technology.The world class training at Koenig is offered through several innovative learning methods and delivery models to cater the unique requirements of a global customer base. This is not enough because we believe in learning and creating new ideas, we have a wide range of courses to spread knowledge all around. And when it comes to learning we always have an attitude to do anything. The certification will include each and everything that you need to know for the implementation payback or return on investment. The certification just starts with the overview of the Oracle E-Business suite R12 with the foundation features of the Oracle Financial modules. This also lets you know in detail about the detail General Ledger, Sub Ledger Accounting, Assets, Cash Management, Treasury, E-Business Tax, and much more. The Oracle describes the whole architecture of Oracle apps along with the modules which are part of the HRMS family. In contrast to this, it will also cover the Multi Org concept in Oracle application and overview of the multiple organizations with some live examples. You will also get to see the Oracle Application System Administration which will present you to create application users, responsibilities, custom menus, groups and data groups. Also, you will learn about the concurrent programs so as to attach it to responsibility. You will also learn to define the value sets, key flex fields, and descriptive flex fields. As the businesses nowadays have different aspects and are totally dependent on the technology to operate their daily operations. 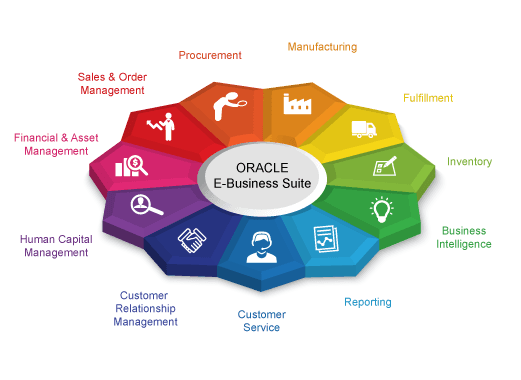 Oracle e business suite is offering the unified solutions to increase the profitability and productivity of the businesses. How will the new wave of 5G Technology Transform the Real Estate Sector?